There are also points for Alonso for keeping his chin up, keeping himself occupied in the car, and even trying out another race series. With all that, the Spanish driver finishes third, and Lewis Hamilton ended a close second to this year's Christine's Rankings champion: Daniel Ricciardo. +1 Lance Stroll: A handful of interesting answers in F1.com's Q&A with Lance, particularly the last one about stopping time. +2 Romain Grosjean: Nice to see some behind the scenes team bonding, although amazing how much enjoyment can be found in a simple bottle of water. +2 Lewis Hamilton: Playing a spot of Dodge ball with Ben Stiller. I mean, you have to, don't you? +2 Fernando Alonso: "The fans will no longer just be spectators," he said, as he announced his own Esports team. +1 Lewis Hamilton: Ham in the fridge. +1 Max Verstappen: Enjoying the kerbs quite a lot on the bike tour of the Abu Dhabi track. +1 Daniel Ricciardo: Good commentary on the bike tour of the Abu Dhabi track. +3 Daniel Ricciardo: Just an adorable sense of humour that even makes Hamilton and Vettel smile. +1 Lewis Hamilton: Not exactly dressed for it, but points for a pit stop challenge anyway. +1 Fernando Alonso: Testing at a WEC event, ready to try his hand at yet another series next year. +1 Brendon Hartley: Dressing up as Santa during the Abu Dhabi weekend, as the teams won't see each other until next year! +2 Pierre Gasly: Really making an effort to try out a spot of bellydancing, with mixed but cute results! +1 Brendon Hartley: Quite enjoying the moment the team try out a spot of bellydancing, but not sure he's dancing so much as laughing. +2 Daniel Ricciardo: Dealing with all questions like an absolute pro. +1 Fernando Alonso: Optimism. Always. 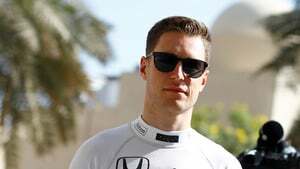 +1 Stoffel Vandoorne: This isn't the most interesting quiz, but actually I liked the calm atmosphere between racer and engineer. +1 Fernando Alonso: There's always going to be points for a cockpit selfie.